Digitial Dentistry utilizes advanced CAD/CAM computer technology. CAD/CAM stands for "Computer Assisted Design / Computer Assisted Manufacturing". Dental CAD/CAM technology is also known as single visit dentisty. By utilizing this technology, many restorative solutions can be completed in one simple dental visit versus 2 or more visits with traditional techniques. Our Planmeca Fit system can be used to manufacture almost any dental restoration including crowns, onlays, inlays and veneers. A laser wand is used capture digital 'images' of your tooth. Powerful software pastes the images together and creates a virtual model of your tooth, enabling Dr. Morhaliek to then design your restoration virtually on the computer. Any parameter can be manipulated with extreme precision to create a restoration with perfect contour, fit, size, shape and color. Once Dr. Morhaliek is pleased with the design the virtual restoration is converted to a physical restoration in our milling unit. The entire design and milling process takes about 40 minutes, a process that used to take 2-3 weeks before CAD / CAM technology was available. Most crowns appointments are completed in less than 100 minutes, start to finish. 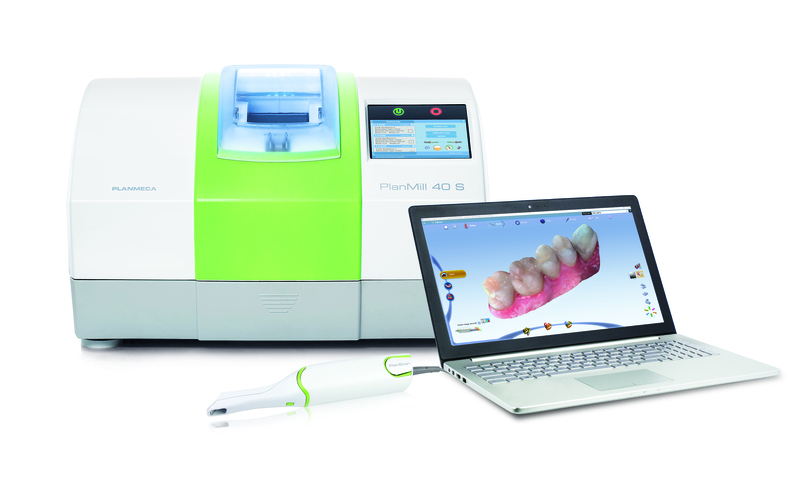 "Cad/Cam technology has literally revolutionized the way day-to-day dentistry is provided." What makes Digital Dentistry better? • COMFORT - No temporary restoration is required. • CONVENIANT - Treatment completed in one simple visit, no need for a second visit. • SUPERIOR STRENGTH - Restorations are milled from prefrabricated 'blocks', allowing for the highest material strength and physical properties of any restorative material in dentistry. • NATURAL APPEARANCE - A wide variety of ceramic and composite blocks are available with many tooth colors to match the needs of your particular restoration(s) perfectly and invisibly.